The cover of the first printing of The Great Gatsby is among the most celebrated pieces of art in American literature. It depicts disembodied eyes and a mouth over a blue skyline, with images of naked women reflected in the irises. 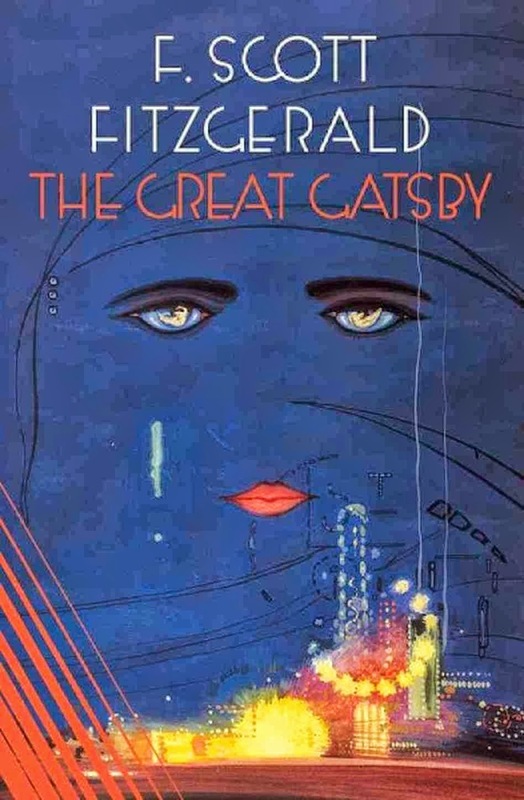 A little-known artist named Francis Cugat was commissioned to illustrate the book while Fitzgerald was in the midst of writing it.The cover was completed before the novel; Fitzgerald was so enamored with it that he told his publisher he had "written it into" the novel.Fitzgerald's remarks about incorporating the painting into the novel led to the interpretation that the eyes are reminiscent of those of fictional optometrist Dr. T. J. Eckleburg(depicted on a faded commercial billboard near George Wilson's auto repair shop) which Fitzgerald described as "blue and gigantic — their retinas are one yard high. They look out of no face, but instead, from a pair of enormous yellow spectacles which pass over a non-existent nose." Although this passage has some resemblance to the painting, a closer explanation can be found in the description of Daisy Buchanan as the "girl whose disembodied face floated along the dark cornices and blinding signs.Ernest Hemingway wrote in A Moveable Feast that when Fitzgerald lent him a copy of The Great Gatsby to read, he immediately disliked the cover, but "Scott told me not to be put off by it, that it had to do with a billboard along a highway in Long Island that was important in the story. He said he had liked the jacket and now he didn't like it."